Roxy Music as well as Bryan Ferry and Andy Mackay as solo artists recorded much of their seminal albums at AIR Studios in London. Construction of a sister studio, on the Caribbean island of Montserrat, began in the mid 1970's attracting major artists from around the globe. Sadly, Hurricane Hugo devastated the island in 1989, and the studio was forced to close. Heavily involved in the design and building of the new studio facility, Sir George Martin opened AIR Lyndhurst in December 1992 with a gala performance of "Under Milk Wood" in the presence of HRH The Prince of Wales. 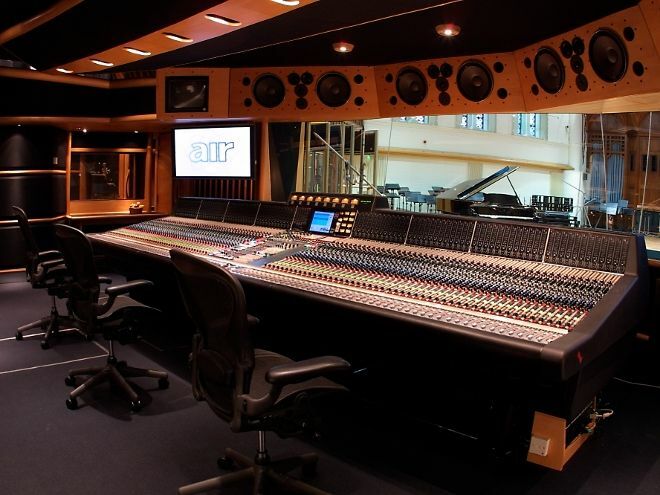 On 8th February 2006 Strongroom's owner and MD Richard Boote announced the purchase of Sir George Martin's AIR Studios from Chrysalis Group and Pioneer. Since that date AIR Lyndhurst has continued to be Britain's premier scoring facility attracting some of the world's biggest movies scores, as well as maintaining its popularity with major classical labels, high profile recording artists and incorporating TV postproduction facilities to rival those in the West End.